Colour: Pink / Ftwr White / Gold Met. Lightweight, flexible trainers for the littlest members of the family. 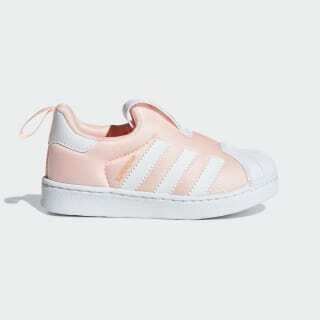 These infants' shoes merge the iconic look of adidas Superstar trainers with an innovative slip-on design. 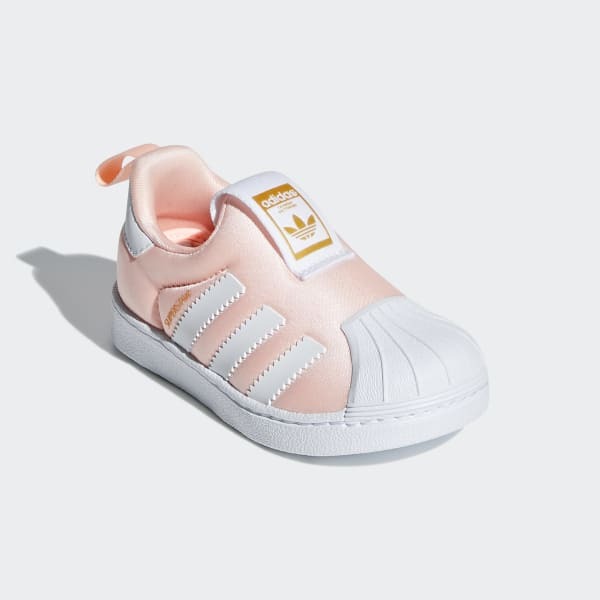 Part of the adidas' 360 Concept Collection, they have a stretchy one-piece textile upper that's easy to slide on little feet. The super-flexible EVA outsole bends and moves when they do. Product colour: Pink / Ftwr White / Gold Met.